This Vintage Straight Leather Case for iPhone 6 & 6S is made from real cowhide leather; soft micro fiber lines the interior and striking stitch lines that give it a superior look and adds durability. 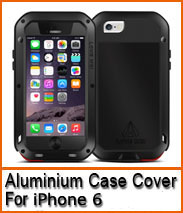 This special case protects your mobile device from abrasion and scratches. Pull your iPhone in style with the popular strap which smoothly pulls your mobile device from your iPhone 6 & 6S leather case and gives you a rich feel and a WOW effect.